Grab your coworkers and friends and build a Corporate or Community Trek Up the Tower team. Participating in fitness events like Trek Up the Tower are a great way to build camaraderie, elevate your wellness program and have fun! 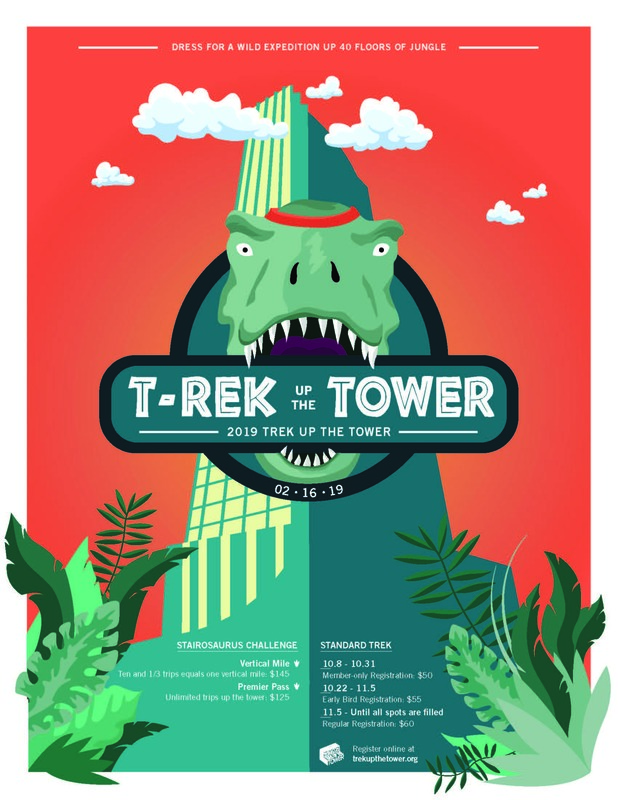 Make it even easier for your employees to participate in Trek Up the Tower. Request a Discount Code for your company or community team to help cover all or part of their registration fee. After Trek Up the Tower concludes, you will receive an invoice for the discount code value multiplied by number of uses during checkout.